We’re officially past Labor Day, and you know what that means?! Time to think about fall decorating! Woohoo! Today I’m reposting a favorite project from last year, my metallic spray painted pumpkins! 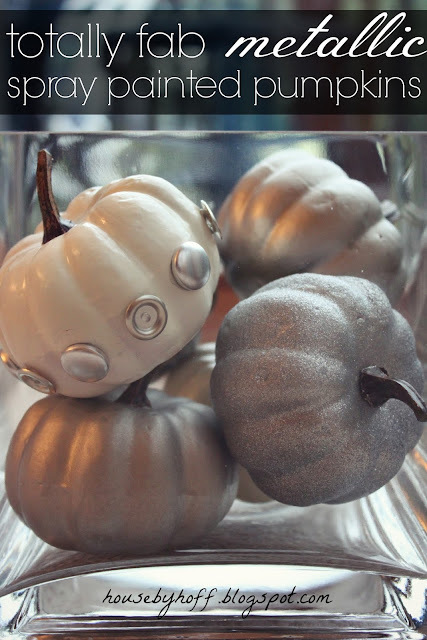 These little cuties were inspired by some of the metallic fall décor that I saw in the PB catalog last year. 1. I bought some little pumpkins at Dollar General. 2. Using painters tape, I taped off the stems. 3. Next came the primer spray paint! 4. 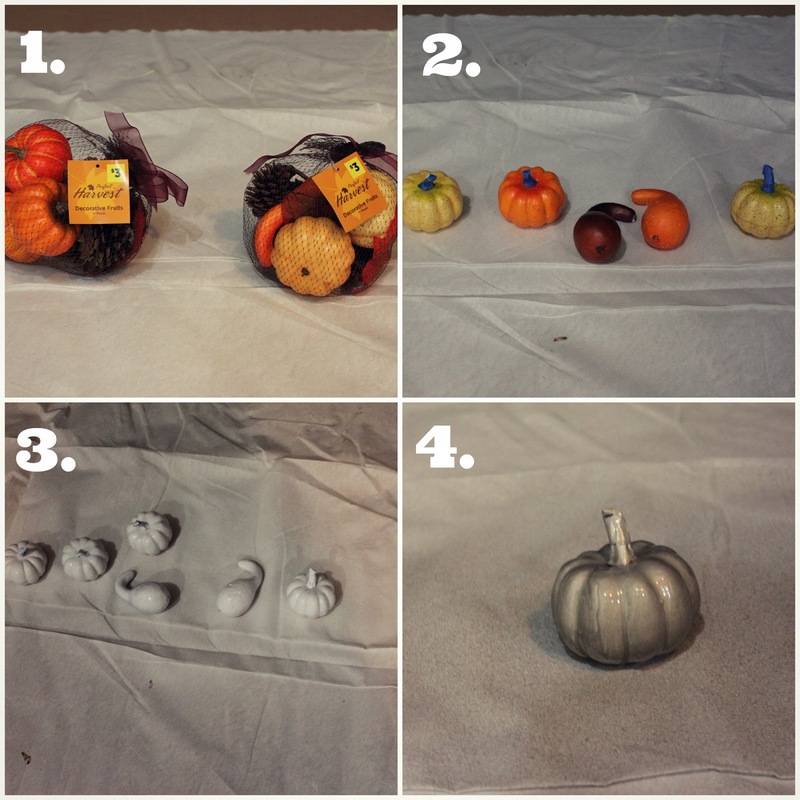 I topped the little pumpkins and gourds off with either brushed nickel spray paint or white spray paint. I added some additional spray glitter to a few of them too. When do you start you fall decorating? Love these! I’ve been thinking of moving away from the traditional color palette this year and these would be perfect! Sometimes I start decorating Labor Day weekend, other years I wait until the first day of fall. It’s hard to get in the fall spirit when it’s 90 degrees out! Glad you found some inspiration! It was 80 degrees today, and I am totally feeling “fall-ish”! They look awesome April! Such a fabulous quick project for fall!! Great re-post. These are adorable and will probably inspire several more people this year! love the metallics- especially the glittered! I’m digging all the spray painted pumpkins this year – and your metallic versions are just too cool! Thanks for linking to the Pumpkin Parade!